All the fashion raves for men, women, children, and infants are dressed with updated descriptions and current values. 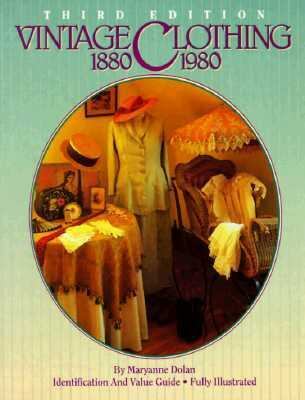 Maryanne Dolan makes this the perfect resource for costume designers, seamstresses, dollmakers, and historians.Dolan, Maryanne is the author of 'Vintage Clothing 1880-1980 Identification and Value Guide', published 1995 under ISBN 9780896891098 and ISBN 0896891097. Loading marketplace prices 7 copies from $0.17 How does the rental process work?